The destination for today’s Writers on Location, Rome, is one of Europe’s most visited cities and high on many a travel wishlist. I have been there three times (although the most recent was fifteen years ago), and in a similar-but-different way to the story Ginny tells in today’s piece, it instantly became a significant place in my life because it’s where I met one of my closest friends, who is French, in a convent guesthouse run by Swedish nuns (really!) when I was just eleven years old. 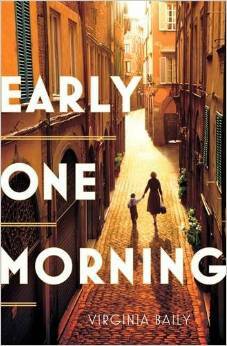 My novel Early One Morning is set in Italy in the 1940s and the 1970s and some moments in between. 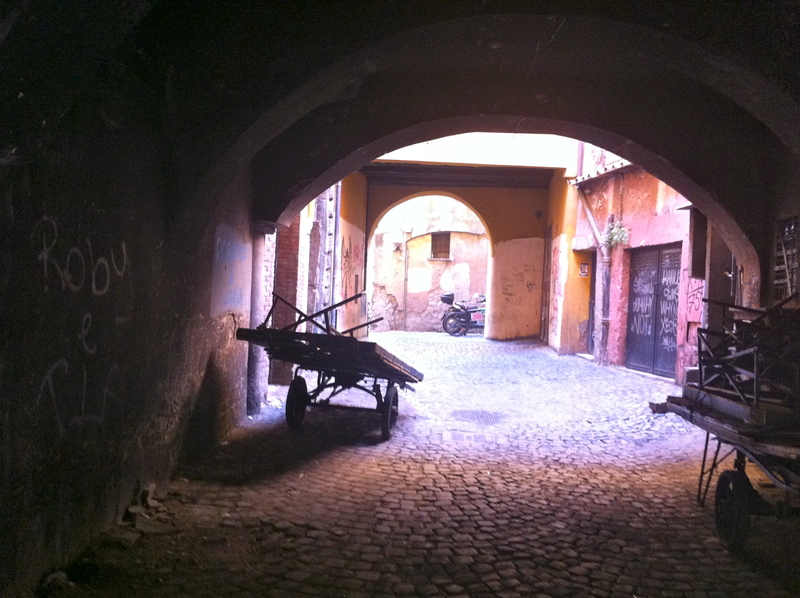 The story of how I came to write it, where it sprang from, is the story of my relationship with Italy and, in particular, my love affair with Rome. Lives can turn on a single moment. In Early One Morning the moment on which the life of my heroine, Chiara Ravello, turns, takes place on 16 October 1943 in occupied Rome. She witnesses the rounding up and deportation of the Jews and locks eyes with a stranger amongst them. What she then does is the inciting incident for the whole narrative. But Chiara Ravello wouldn’t have been there, standing in that place on that street corner at that precise moment, with that particular propensity of hers to leap before she looked, unless I myself had not stood on that self-same spot decades before (in real time) or after (in fictional time) and had my own epiphany. Mine was not so dramatic as hers but it did change the course of my life. What happened was that I fell in love. I was sixteen and I was ripe for new experience and adventure; ripe for love. With my older brother I went to visit my aunt, who is also my godmother, who lived in Rome and does so still. Our plane was delayed and it was dark when we arrived but my aunt and her dinner guests had waited for us. More even than the food – a delicious feast – was the fact that they had waited. At home, if you were late for dinner, a plate of something would be left, probably in the oven turned down low, with another plate over the top to keep it moist (although it didn’t) and you would eat this shriveled thing quickly and alone. But there in Rome, they waited. The conviviality of it, the honouring of guests, the elevated place given to food and the sharing of it, was a revelation. That was the beginning of the love affair. In the morning, I flung open the shutters and there was our little patch of the Centro Storico, laid out in all its crumbling, golden glory. There was the smell of fresh bread, the bustle and clatter, the noise of people talking, the music of the language. And there was me. Sixteen year old me in my low-cut nightie at the window, breathing it in. My aunt needed bread. I pulled my jeans on over my nightie and ran out like that to the shop and at the sight of me, some impossibly beautiful young man prostrated himself. Literally threw himself to the ground at my feet exclaiming, ‘Bella bionda!’ I was hooked. In Early One Morning, a sixteen year old girl, Maria, travels to Rome for the first time in the 1970s. 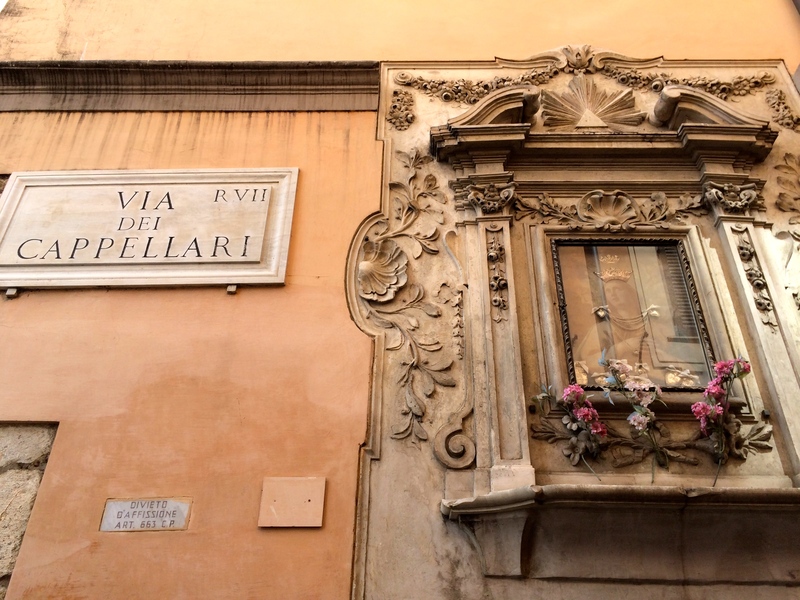 Maria isn’t me but her experience of Rome echoes mine and all the elements of that seminal moment at the window – the shutters, the golden outside, the heightened awareness, even the cut of the night-dress, find a place in the book. Like Maria, I had the sense of Rome gilding and enhancing me, imbuing me with a kind of glow, an unerringly seductive notion. I experienced it as my character Maria does in the novel, as a two-way thing. Rome was my stage and I was its audience and vice versa. I dressed up for Rome. I loved the version of me I discovered there. Back in the seventies, I used to have the fancy, as I sat beside the fountain in Piazza Navona and blew my cigarette smoke out in what I imagined was a sophisticated but studiedly carefree way, that Fellini would spot me and cast me in his next film. That was the effect Rome had on me. 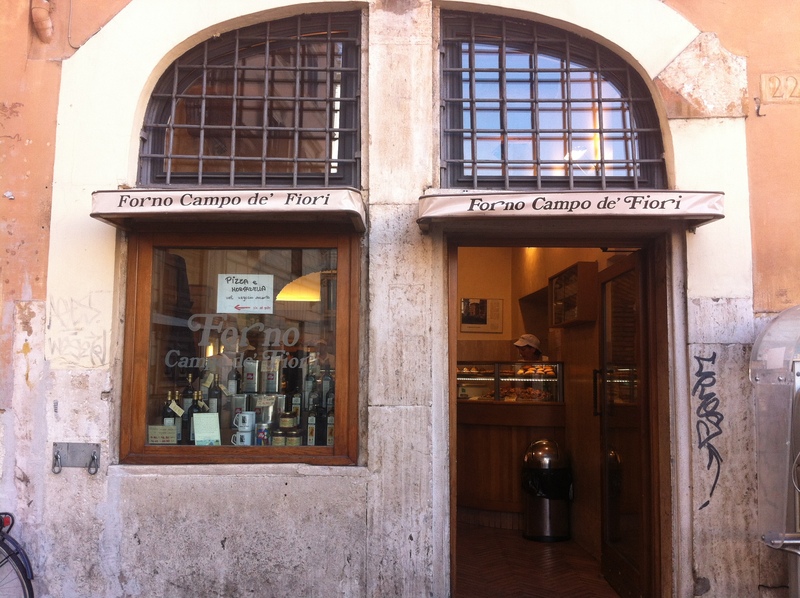 To quote a line from an earlier draft of the novel: Rome was my Romeo. I found too that there was a part of me that was inexpressible without Italian. I had to learn that language. Decades later when I was lucky enough to live in Rome for a few months while I was ‘researching’ this book – if watching Italian films, wandering the streets and parks of Rome, sitting in cafes quaffing prosecco, can be called research – I felt that our love had matured, mellowed. 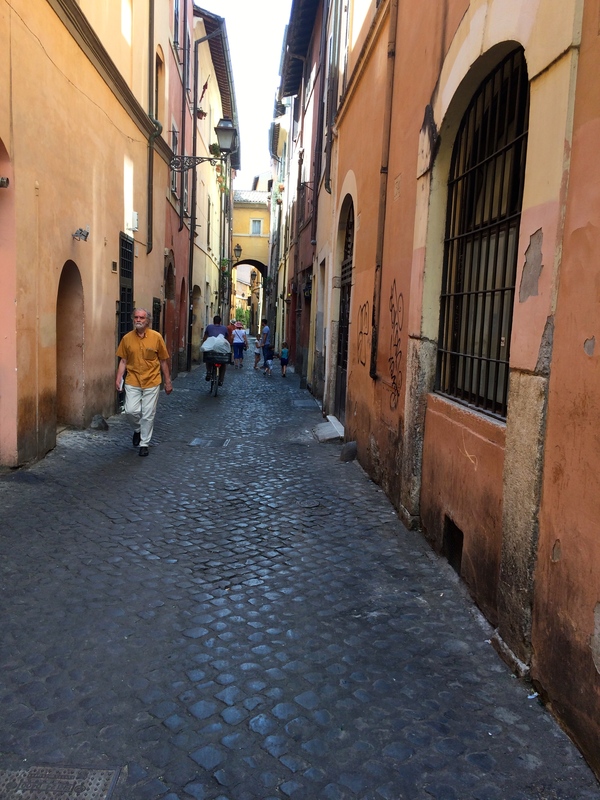 Rome had become my companion, calling me away from my desk and out to play. Even though much has changed over the years, I still love it: the food, the people, the conviviality, the language, the literature, the loud conversation, the art, the films… It has become my home from home, but its luminous beauty also never fails to move and delight me. I hope Early One Morning does justice to that. Grazie mille to Ginny for this deliciously enticing piece which I bet will have people googling trips to Rome. It makes me desperate to go back! The photos are of locations which feature in the book. Since I only feature books I rate on the Literary Sofa, it may sometimes appear that I am easily impressed or enthusiastic about everything I read when this is far from being the case. But when it comes to Early One Morning I have nothing but admiration for this beautiful and haunting novel which remains vivid in my memory months after reading. This is rare, but then so is a book in which every aspect is so finely accomplished: the evocative setting, two timelines of equal interest, exquisite writing and complex characterization. The story of Chiara, Daniele and Maria is compelling, involving and all the more moving for not succumbing to sentimentality. If you’re looking for a genuinely transporting, emotionally intelligent read, they don’t come much better than this. Having read my official Summer Reads months ago, I always relish drawing up a bespoke TBR for my summer holiday, often including titles I’ve missed from further back. Next week, in the last post before my summer shutdown, you can find out what I’ll be reading on my three week trip to France – and tell me what you’re looking forward to. What a delightful insight to both author & story… I’ve had my eye on this for quite a while; having never travelled to Rome I get the feeling I’m in for a lovely vicarious trip as well as superb storytelling. 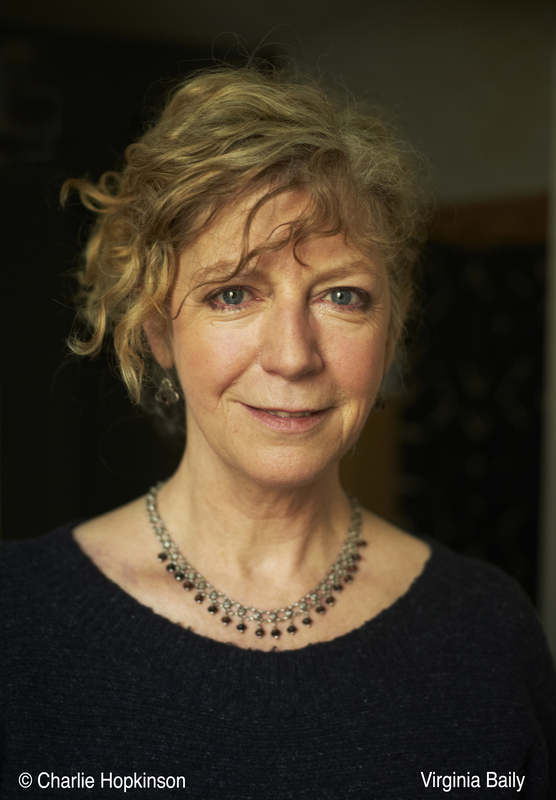 Thank you to Ginny for this wonderful account of how the book began life. I was lucky enough to win an advance copy and one of the many things I love about the novel is Maria’s teenage sense of wonder and delight at finding herself in Rome. It’s such a beautifully told and uplifting story and as Isabel says, one which stays with the reader. Such an evocative post. It’s piqued my interest, certainly. There’s a glorious vibrancy about being a teenager in a European city; a relish for life. Lovely morning read, thanks. Gorgeous evocation of a gorgeous city. Packing my bags for Rome even as I type (well, not literally. Even I can’t multitask that well). The only question now is, do I read the book while I’m there or save it for when I get home? I always love reading a novel in situ – it really adds to the enjoyment feeling the place around me. Have a wonderful time! A story like that could only happen in Italy. As we grow up we seem to forget the joy of the spontaneous moment don’t we?